The global stature of K-pop was proven yet again when BTS member Kim Nam-joon spoke at the United Nations in September. The boy band took part in the launch of UNICEF’s Generation Unlimited campaign on September 24, establishing their position as role models for young people worldwide. BTS has also been taking part in the Love Myself campaign, which seeks to decrease global youth violence, since September 2017. Their participation in the UN session gave more momentum to their campaign. Kim’s speech touched the hearts of many across the world, and probably gave strength to many struggling young people. BTS, and other K-pop stars, must now embrace their new roles as opinionated activists, and gain the hearts and minds of their fans. K-pop boot camps, which give a first-hand taste of the rigorous training undergone by K-pop stars, are opening all over the world. Such boot camps, such as The Academy’s K-Pop Boot Camp, open annually in Australia as well. The program, which is in its third run this year, took place on September 23 to 30. The Academy runs the boot camp for talented local middle school, high school, and college students, as well as adults. 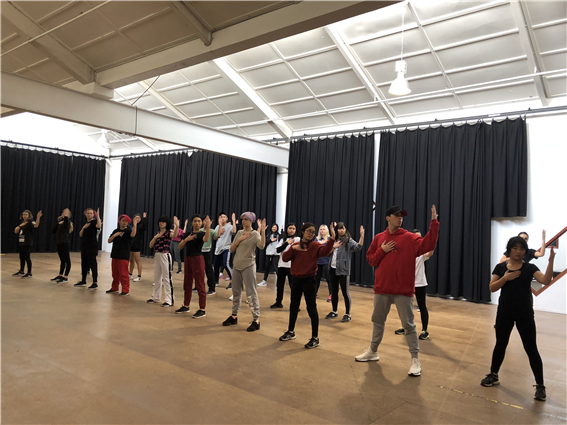 This year, the program took place at Jason Coleman’s Ministry of Dance in Melbourne, the biggest dance studio in the world, run by world-renowned choreographer Jason Coleman. Out of the 50 selected participants, 49 took part in this year’s program, with one person not able to attend for personal reasons. The 50 participants were further narrowed by dividing the tryout candidates into the top 40 and into the bottom 10, or the “F category.” Kim Jin-hwan, Park Seung-min, and Ko Woo-rim took part as dancing and singing coaches, and global food company Paldo sponsored the event, as it did last year. This year, entertainment companies TOP Media and HOW Entertainment also participated in the boot camp, hoping to recruit local talent. Non-Korean talent is recruited from various cities around the world, and members in current K-pop groups hail from countries like China, Japan, and Thailand. K-pop has a global audience, so it’s only natural that its stars should also have a global background. Orientation took place on September 23, the first day of the program. On the 29th, the last day of the boot camp, the participants put on a live performance for their family and friends, showing off the moves they had learned in the rigorous five-day program. The participants in the boot camp were divided into the dance team and the performance team. Those in the dance team took Enigy classes with Kim Jin-hwan, and iKonics classes with Park Seung-min. At the showcase performance, the iKonics team pulled off passionate and precise choreographies to songs like “Killing Me” by iKon, and “Problem” by Ariana Grande. 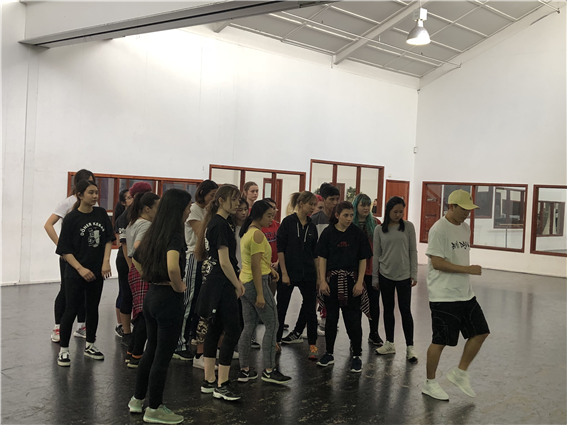 The Enigy team performed choreography to songs like “Energetic” by Wanna One, “Drama” by Bro Safari & UFO!, and “Do It Well” by Jennifer Lopez. Each performance was met with rapt cheers and applause from the audience. Furthermore, the three performance teams trained by Ko Woo-rim gave a performance to songs “Roller Coaster” by Chungha and “Move” by Taemin. After all the performances, a graduation and award ceremony for participants took place. 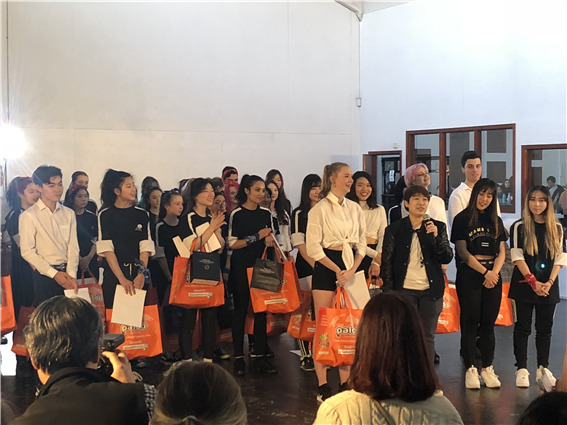 The three coaches, Melbourne sponsors, and officials from Korean entertainment companies TOP Media and HOW Entertainment were present. The Paldo Choice Award—awarding the best dance team of the year—went to the Enigy team. The Top Trainee award went to Georgia Hampson, while The Most Improved Trainee award went to Victoria Li and Joo Brown. Hampson, who is a ballet dancer from Queensland, said, “It is an honor to have been picked as the best trainee amongst the participants, who all worked very hard.” She said she had always been interested in K-pop, and had tried out for auditions for the boot camp after seeing it advertised in social media. She would like to try out for any future auditions as well, and she said the most memorable moment of the boot camp was the orientation, when she first met the other trainees and trainers. According to a local press interview, Brown said taking part in the boot camp made her feel at home, and like she belonged. This was the first boot camp experience for Brown, who was adopted from Korea at six months old and grew up in Australia. After the performance, each team took part in music video shoots and closed-door auditions with Korean entertainment companies. 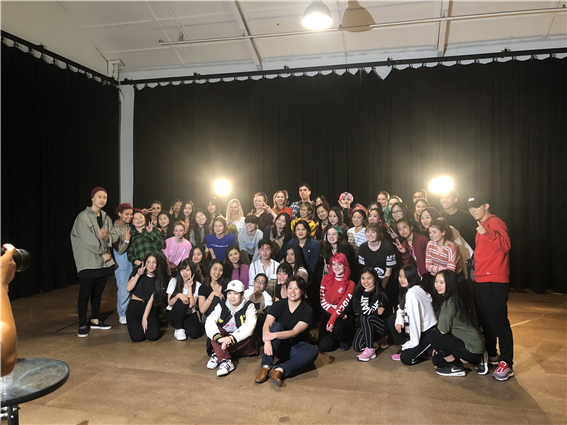 The Third K-pop Boot Camp in Melbourne came to a close after the music video shoots on the 29th and 30th. After five days of rigorous training, the trainees hopefully came away with a new confidence and determination for their future. In the future, the participants plan to form teams by state and continue their training under The Academy. We wish them the best of luck in their future pursuits in K-pop.